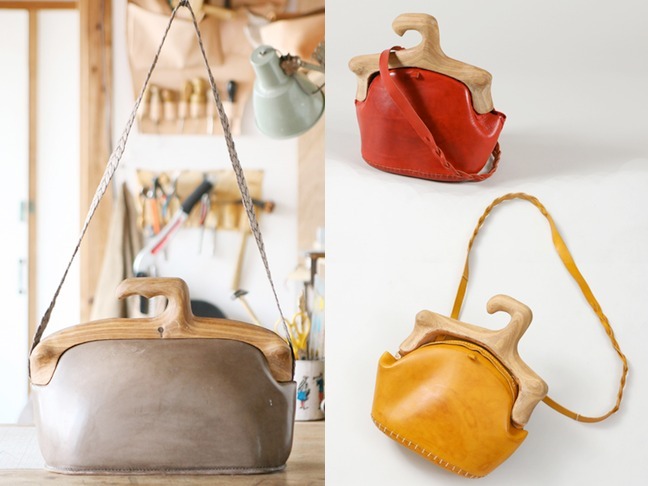 Husband-and-wife team Koji and Yoko Aria spend most of their time in the Japanese countryside just outside of Tokyo, sculpting beautiful handbags with wooden frames and carved handles and other natural materials. Over time their collection has evolved to include clothing and other accessories, all highly original works of art that will leave your jaw on the floor. Koji obsessively works the wood for the frames and handles while wife Yoko handles the rest. 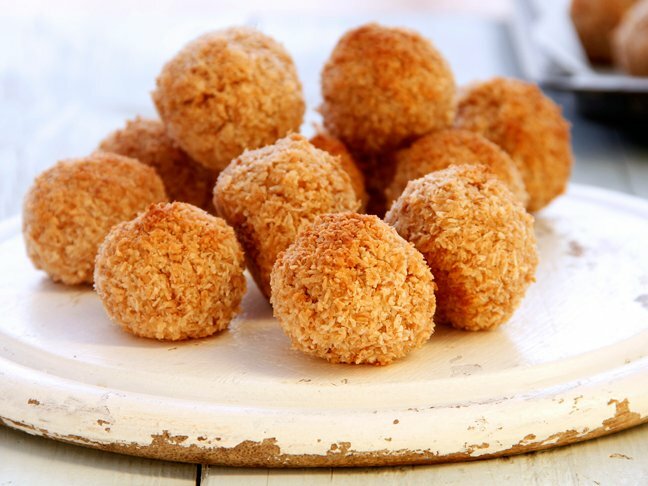 They established Eatable of Many Orders in 2007, taking the name from a story about a wild cat restaurant that gives orders to customers rather than taking orders from them. 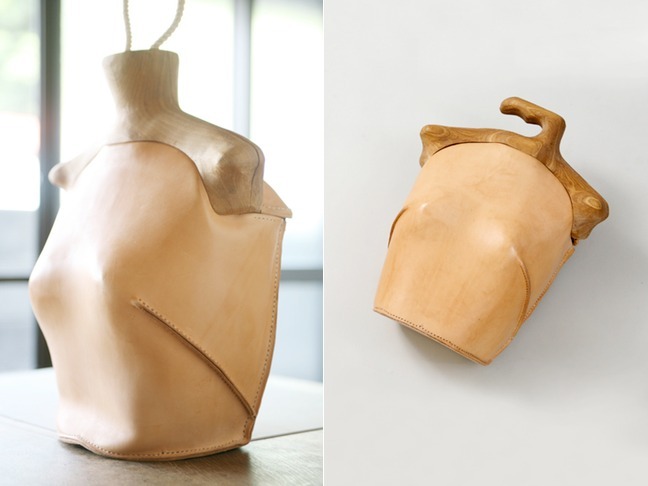 The aptly named Torso Bag, pictured above, takes its form from human anatomy. 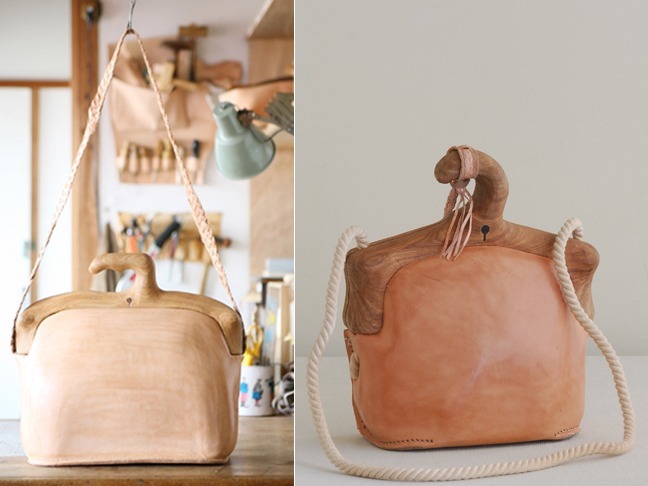 Click below to see more of these beautiful bags. 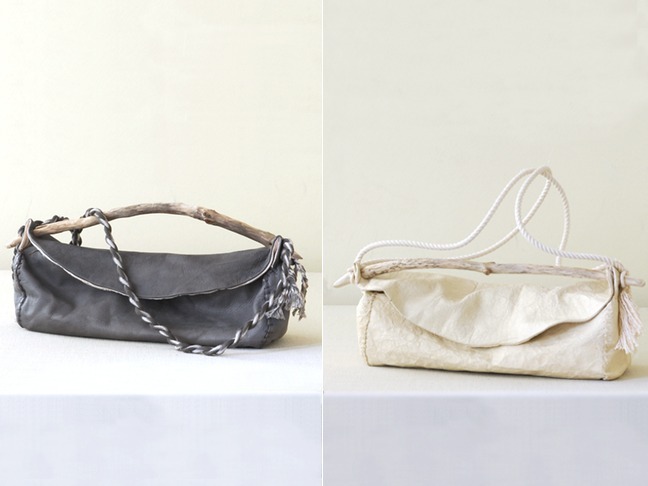 The Hanger Bag, made from tamo wood and vegetable tannin cow leather, is available in white, natural, or hema black. It is offered in three sizes: Wife (large), Chest (medium, pictured at the beginning of the post), and Baby (small). 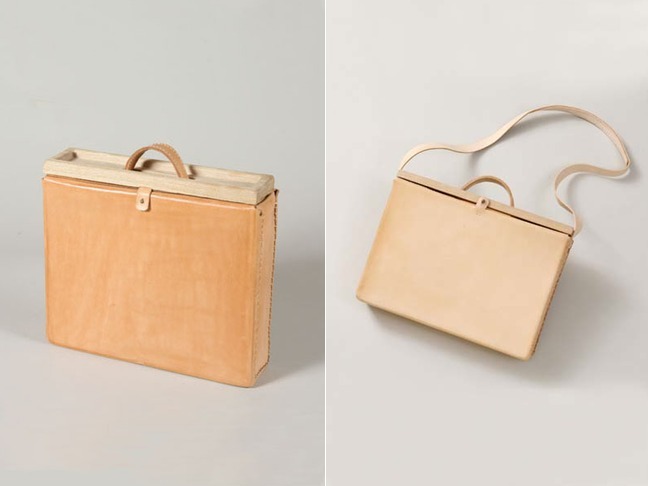 The Single Hanger Bag is available in one size (small) in either gold foil Japanese white cow leather, natural Japanese white cow leather, tomato Italian batarassi cow leather, or pumpkin Italian batarassi cow leather. 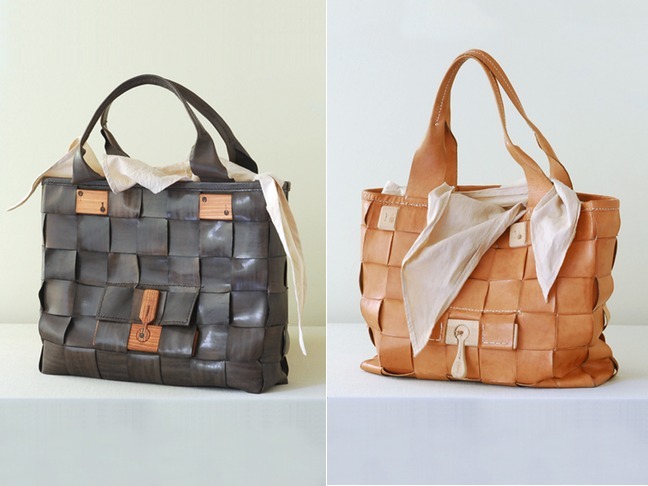 The Metal Free Woven Bag is available in large and small sizes in either natural or hema black vegetable tannin cow leather. The iconic Briefcase is available in small and medium sizes in either natural vegetable tannin cow leather or pumpkin Italian batarassi cow leather. 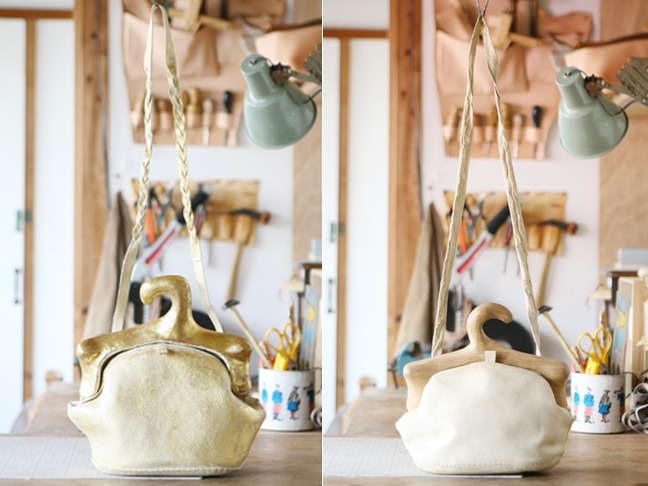 The Ryuboku Bag is available in small or medium sizes in either hema black horse leather or Japanese white cow leather. Visit the Eatable of Many Orders website to see more from the collection! Mommy Must Haves: Smurf EditionSneak Peak At Fall Trends!